‘THERE IS ONLY NOW’ – bookings now open! 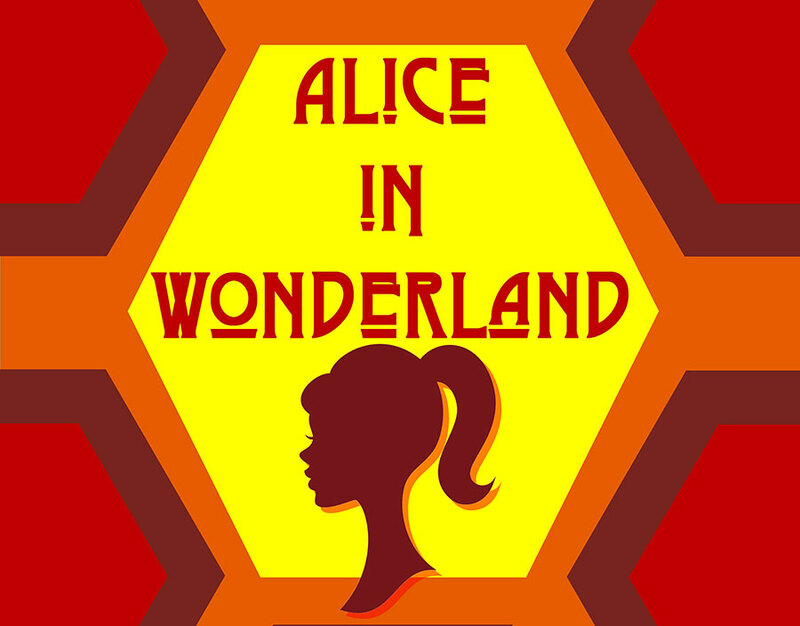 In April 2015, 21 members of KYT combined the mad and nonsensical worlds of Lewis Carroll’s Wonderland and Looking Glass. 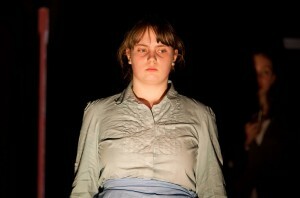 In our version, Alice is 12 and ½ years old and it bothers her to still be thought of as a child. Why do all these other people get to make the decisions, confuse her and boss her? After all, she is nearly thirteen. 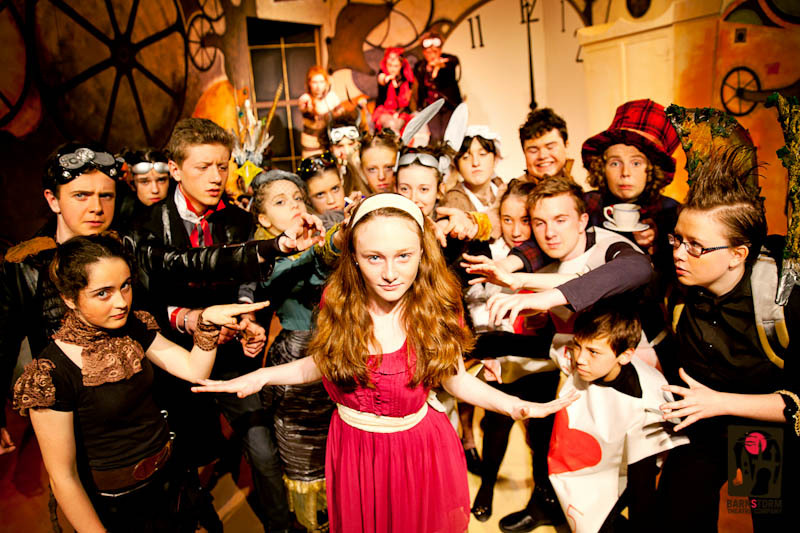 In May 2014, fourteen members of Kilkenny Youth Theatre tackled The Bard…and they won! 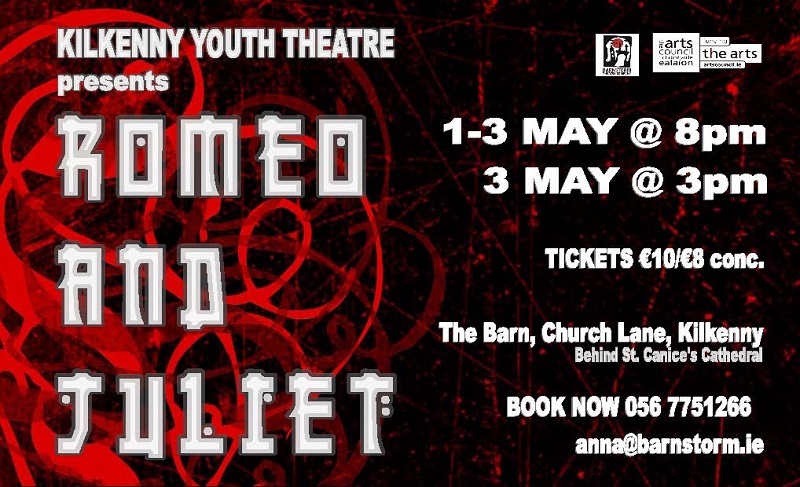 A tale of death, woe, love, hate, passion, ‘Romeo and Juliet’ gave plenty of scope to explore the extremes of human emotion. And also gave this young cast a chance to battle a language and speak it like they were born to it. 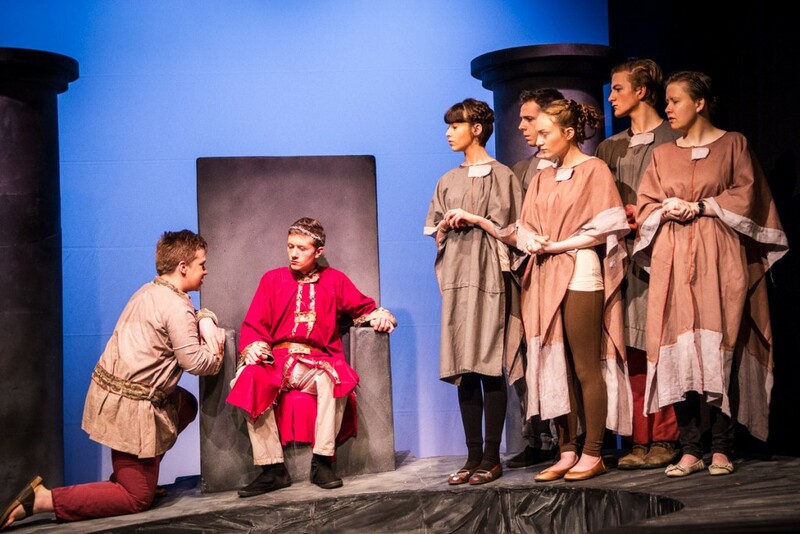 They weren’t ‘acting’ Shakespeare, they were living breathing Montagues and Capulets. 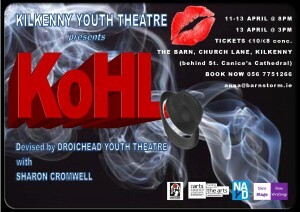 In April 2013, sixteen members of Kilkenny Youth Theatre took a trip back in time, to when criminality, illegal booze, and brawls were in full swing. Taking on a slice of real history, The Prohibition, KYT explored the genre Film Noir. There was the private eye, the femme fatale, the gangsters, the molls and the hungry newshound. The audience was transported back to 1930’s New York and into ‘a whole heap o’ trouble’. 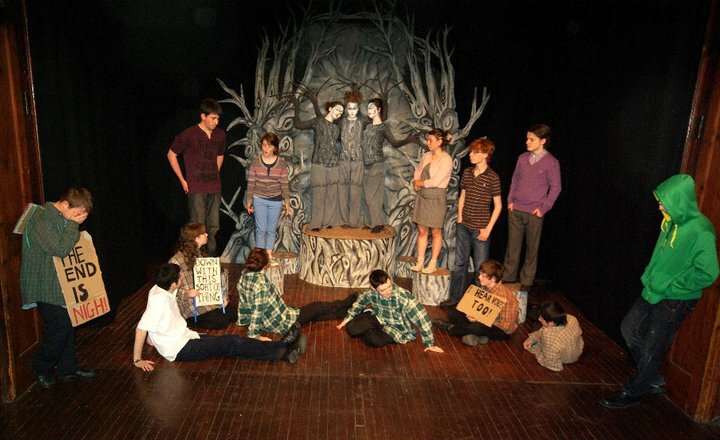 In April 2012, sixteen members of Kilkenny Youth Theatre brought the dark corridors of Gormenghast to life. A story of family responsibilities vs personal freedom, good vs evil, young against old and how murder, seduction and rebellion can rock traditions held fast for thousands of years to their very core. 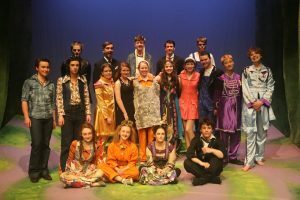 In May 2011, Kilkenny Youth Theatre with a cast of sixteen asked us what is our responsibility in taking care of our world? Chris has a headache, a migraine, he’s off form and now he has to work with the ’geeks’ of the school on an ‘Environmental Project’, you just know it’s not going to be his week…or is it? 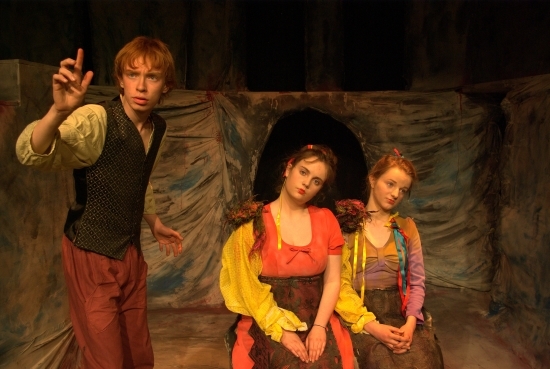 Performed in April 2010 with a cast of eleven, ‘A Vampire Story’ played to full houses and gave Kilkenny Youth Theatre another successful run. The new girl in school Ella, befriends you and tells you she’s a vampire, is 200 years old and has survived by drinking human blood. Do you believe her?